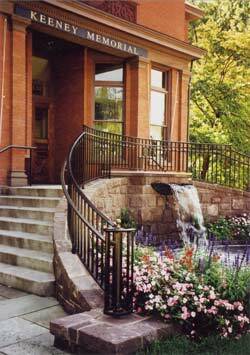 Whether it be for a wedding reception, wedding ceremony or groups gathering for business will find a gracious welcome at the Keeney Memorial Cultural Center in Wethersfield, Connecticut. In the heart of the state’s largest historic district, this handsome Victorian property features two stories of airy, bright, and spacious meeting rooms. Operation Fuel, Inc. had a great event at the Keeney Ballroom in the Keeney Memorial Cultural Center at Wethersfield Historical Society February 13, 2015. 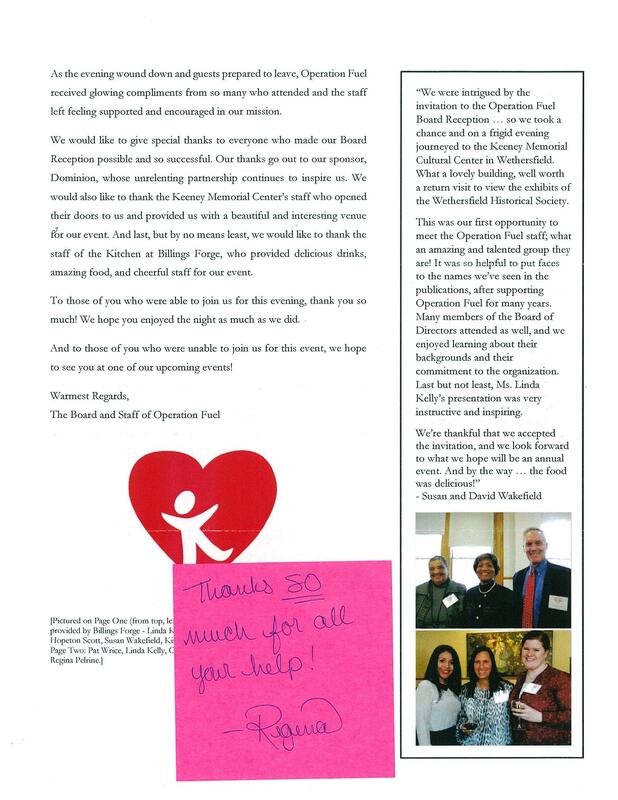 We love that Operation Fuel described our historic building as “warm, bright and optimistic!” Operation Fuel is one of the several businesses that take advantage of the building for meetings, receptions and events.